Prior to the official announcement of the iPhone 5c, observers expected that Apple would offer its new smartphone at a competitively low price to take away market share from cheap devices running Android. But the company instead opted to stand its ground on pricing  a controversial strategy that caught the market by surprise. For years now, rumors of a so-called low-cost iPhone have persisted. But they began to take hold earlier this year, when numerous reports consistently claimed that Apple was planning to debut a new plastic-backed iPhone this year. With details of a new plastic iPhone gaining steam, many observers assumed that the device would be the long-fabled "cheap" iPhone. That set expectations that Apple would price its new iPhone model as low as $400 without a contract subsidy. Details on the iPhone 5c were so well known before its announcement, many assumed the device would be the company's new low-cost handset. Instead, it's Apple's mid-tier iPhone. 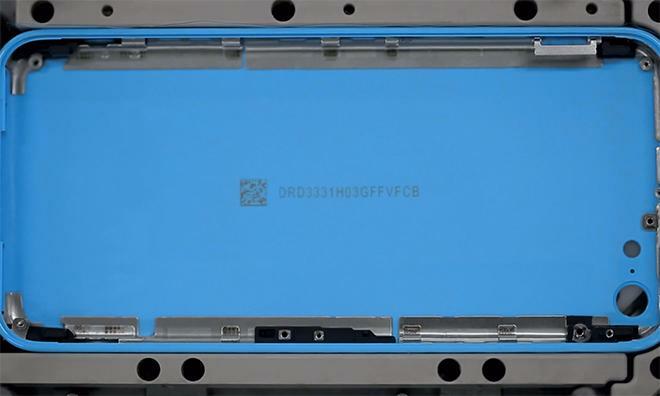 Prior to the announcement of the iPhone 5c, almost everything about the device was known, including its design, the colors it would be offered in, and the fact that it would have largely the same internal components as the iPhone 5. The one thing that remained an unknown was the price. Ahead of last week's unveiling, even the name of the product was leaked ahead of time. 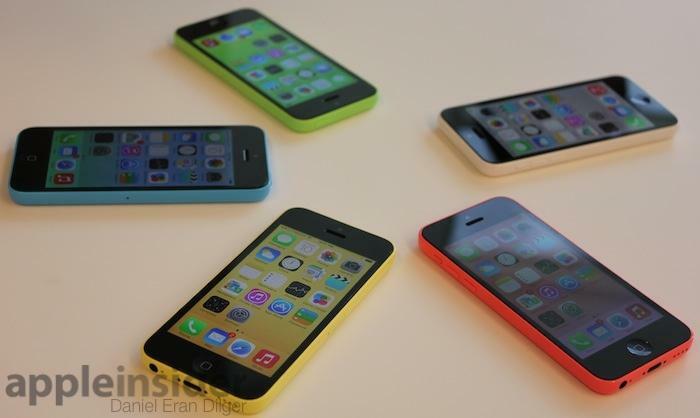 But there was one aspect that the rumors got very wrong: The "c" in iPhone 5c didn't stand for "cheap" in any way. Instead of reaching the anticipated $400 price point, Apple instead opted to price the new iPhone 5c starting at $549 for the entry-level 16-gigabyte model. The phone can also be had for $99 with a new two-year service contract. Those are the exact same price points Apple has held for years with its mid-tier smartphones. Only this year, the iPhone 5c represents a newly designed model, rather than simply taking last year's flagship iPhone 5 and offering it for $549. Analysts have responded with disappointment, and began cutting their price targets and projected iPhone sales soon after last week's media event. 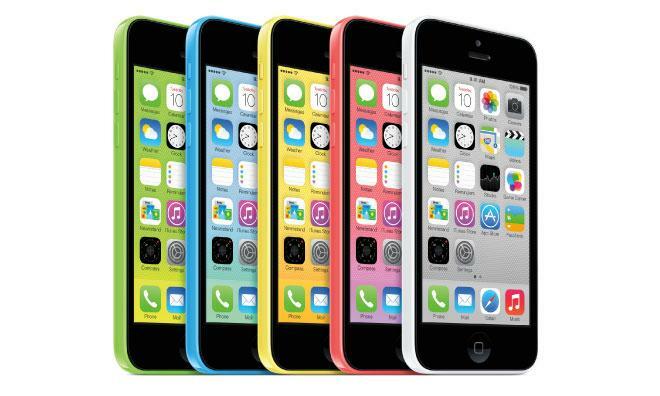 The iPhone 5c has been written off by some as a bust, even before it's hit store shelves. Concern lingered through Monday, when Apple did not announce preorder figures, as it has done in recent years. Shares of Apple have slumped since the iPhone 5c announcement, with some investors viewing the $549 unsubsidized starting price as a disappointment. The logic is that that growth in the premium smartphone market, where Apple has competed until now, is slowing. The greatest growth potential, market watchers say, is in the low- and mid-tier segments, where less expensive devices running Google's Android platform have found success. Some observers believe Apple should react to those cheap Android devices, and take back market share in segments where it does not currently compete. They believe like with the iPad mini, Apple should aggressively move into a lower-priced market with a new hardware model. But the iPhone remains Apple's most profitable product lineup by far, with gross margins pegged at one point to be around 60 percent. 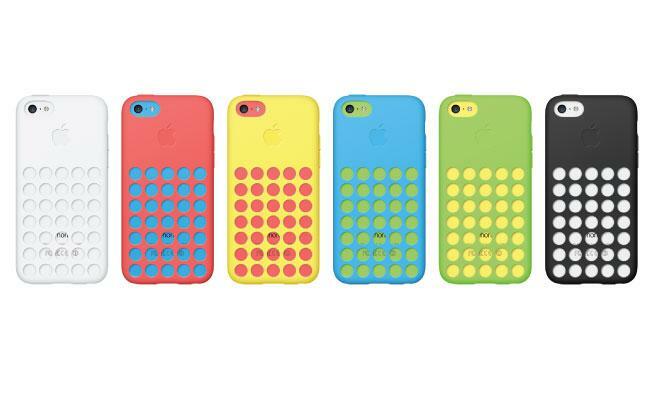 And supporters of the current iPhone 5c strategy say that the new model will expand the iPhone to more potential customers, thanks to the variety of colors available, without sacrificing its lucrative margins. Apple's high-margin strategy in the smartphone space has worked particularly well for the company thus far, helping it to amass more than $145 billion in cash and making it the most valuable company in the world by market capitalization. For now, it's clear Apple plans to stay on the same course that's worked pretty well so far. Though the specifications of the iPhone 5c are similar to the defunct iPhone 5, Apple has done more than just replace the back of the device with colorful plastic casings. The iPhone 5 came in three variants, with two different models for the most popular carriers in America, Verizon and AT&T. With this year's iPhone 5c, one model dubbed A1532 is compatible with both AT&T and Verizon in the U.S., while another A1456 model supports Sprint and CDMA networks in Japan. There are two more models as well, and one of them includes support for China Mobile's TD-LTE bands, suggesting a partnership with the world's largest carrier is forthcoming. The handset's forward facing FaceTime HD camera was also upgraded from the iPhone 5. Apple says the iPhone 5c FaceTime HD camera now offers better low-light pictures than its predecessor. 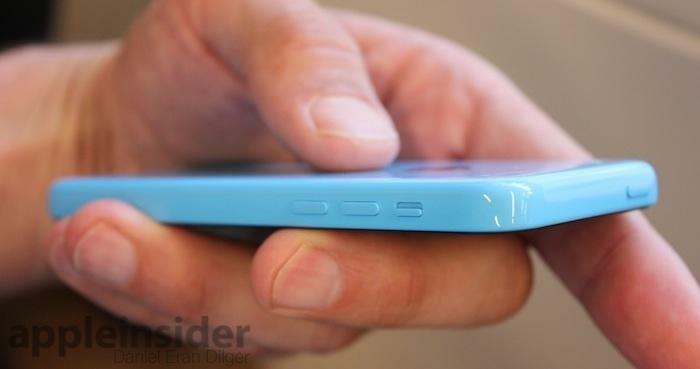 Finally, the iPhone 5c battery is also slightly larger than the battery in the iPhone 5. It offers up to 10 hours of talk time and 10 hours of LTE Internet use, both two hours greater than the iPhone 5. Standby time has also been increased by 25 hours to 250. Frame serves as a multi-band antenna. To fight off the stigma of a "cheap" plastic iPhone, Apple has also detailed the process it uses to manufacture the new polycarbonate-backed handset. The company said that many plastic smartphones lack rigidity when compared to metal devices like the iPhone 5s, but Apple believes it has addressed this issue with a new construction method, attaching a steel reinforced substructure to a hard-coated polycarbonate shell. This steel frame found hidden inside the plastic case not only makes the handset more rigid  it also acts as a multi-band antenna for the iPhone 5c. The steel skeleton is inserted into a single, seamless piece of polycarbonate and secured with a bonding agent. The back surface is also covered with a clear lacquer hard coat that aims to make the back of the iPhone 5c both glossy and durable. 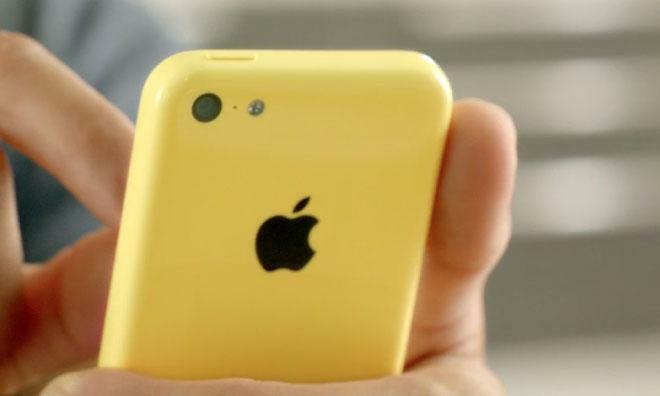 "This whole process culminates in an extraordinarily rigid structure and a solid, dense feel that you would not expect from a plastic product," Apple design chief Jony Ive said in a video detailing the iPhone 5c manufacturing process.